Sometimes, you have to preview a thousand tracks before you find one that sounds like absolutely nothing you have ever heard before. Yeah-Ah-Ey (also known as The Song of Three Words) is known to have this effect on dance music fans everywhere: this new song from BPMstr (a.k.a. The Artist of the Tempo) is fun, uplifting, gloriously glitchy, and exciting! The song lyrics consist of just three words – Yeah, Ah, and Ey: they mean whatever you want, and they sound perfect in any setting, at any time, anywhere. BPMstr developed this song as a dubstep composition, but it also deserves attention of music fans from many other genres: take a listen, and you will know why. This wonderful release from TuneDome Records offers amazing noisy choruses, lots of loud special effects, energizing rhythmic dynamics, and other complex elements that you don’t hear every day. Yeah-Ah-Ey is also sometimes spelled as Yea-Ah-Hey or Yeah-Ah-Hey… Either way, enjoy this amazing release and at least 7 more by BPMstr from TuneDome Records before the end of this year! I am BPMstr® (or BPMSTER if you dig vowels) and my name is Luke Kelvin. My sound = HARD + LOUD. I produce and perform dance music since 2012, and I play live instruments in many of my gigs. I believe good EDM is about 3 things: TEMPO + ENERGY + NOISE. My global audiences agree. Prove me wrong, and I will buy you a chocolate factory. I believe MUSIC = FREEDOM. My latest HARD+LOUD tracks run 140-155 bpm and include elements of hard dance, electro, techno, NRG and dubstep. TEMPO drives me forward and makes my heart beat… and yours. 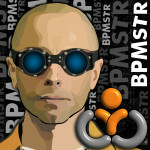 BPM in BPMstr means Beats Per Minute – that’s why I am the Artist of the Tempo. I am an independent artist with no label contract or permanent booking agent or manager at the moment. I’d love to start working with new labels and cool EDM deal makers, but before that happens, my own modest label (TuneDome) is my personal gateway into this noisy digital world (release timeline). I am always in search of new and exciting concepts in dance music and enjoy collaborations, new EDM projects and international bookings in my EDM quest across the Americas, Europe, Asia and Australia. I will fly anywhere and anytime to perform for you or with you! It’s easy to connect with me.